Winning one round is good but winning all four rounds of the Salt Electrical Ladies of the Dirt Series for Wingless Sprints proved that Carly Walsh was the class act, after she scored the win in last Saturday night’s fourth and final round, presented by Believe in your Beauty, at Nyora Raceway. 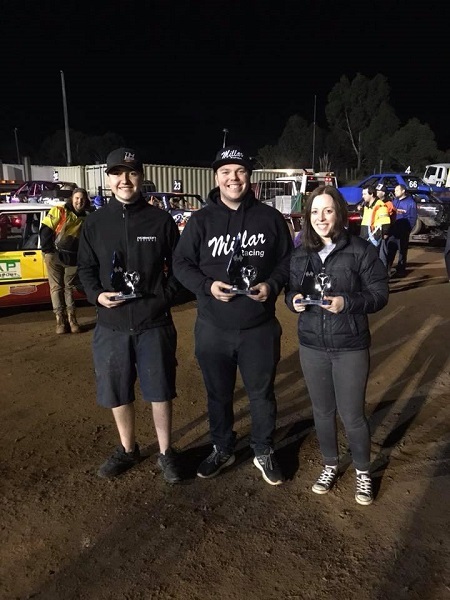 A small but competitive field of six cars converged at the picturesque Nyora venue, located in the Gippsland region of south-east Victoria to complete what has been a very successful Ladies of the Dirt Series. 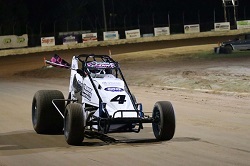 Preceding the final round feature race, two heat races were contested and as was the case at the penultimate round the previous weekend, Walsh raced away to record a win in both and place herself as the highest qualifier going into the feature race. Starting the feature race from pole position, Walsh found herself in the very familiar position of having a clear track ahead of her as she took control of the race. Unchallenged for the entire race distance, Walsh went on to record an emphatic victory and, in the process, stamped her authority on not only the night but the entire series. Greeting the chequered flag in second was Samantha Millar. The defending Ladies of the Dirt Series Champion has been strong throughout the four rounds, managing to score three runners up finishing positions and ultimately claiming second in this season’s series. An impressive Rachel Cooper completed the podium in third. 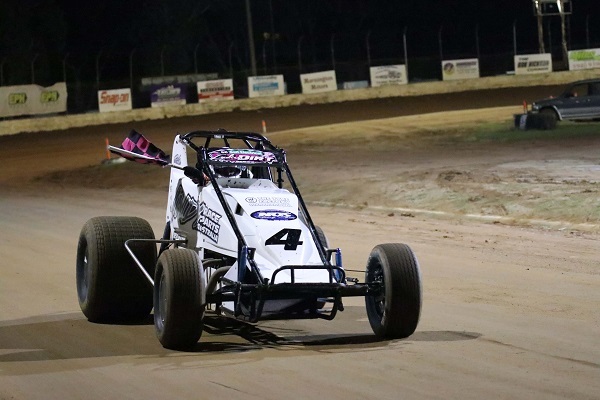 Improving on her fourth-place finish at the previous round, Cooper, from a Speedway Kart background, put in a strong showing to gain her first podium of the series and finish the series on a high. After struggling in the heat races earlier in the night, Bree Hall just missed out on a podium finish and came home in fourth. In a real boost to Hall’s night, she improved in the open class to score a well-deserved third-place finish. Rounding out the finishers in the Ladies of the Dirt feature race was Alisha Fielder and Kim Abbott in fifth and sixth place respectively. Meanwhile, in the Open class, it was current Victorian Champion Travis Millar who emerged victorious in the feature race, collecting his fifth feature-race win of the 2017-18 season. Beginning the feature race from position three, following a third-place finish and a win in earlier contested heat-races, Millar made his way to the front in the early stages and powered away to win his fourth feature-race of the season. Coming home in second behind Millar was youngster Todd Hobson. After coming off a third-place finish at the previous club show, Hobson showed good speed and despite not managing to make a pass on Millar, recorded a very strong second-place finish. As mentioned, rounding out the podium in the open class was Bree Hall. 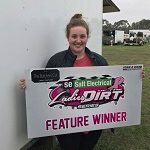 After winning her maiden heat race at the Nyora venue at the opening Ladies of the Dirt Series round back in April, Hall looked strong after coming from the second row in the field. At one stage, Hall dropped back to fifth but managed to work her way back to claim third. 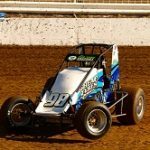 The next scheduled event for the Victorian Wingless Sprints is a two-night event at Horsham’s Blue Ribbon Raceway this Saturday and Sunday night (June 9 and 10).